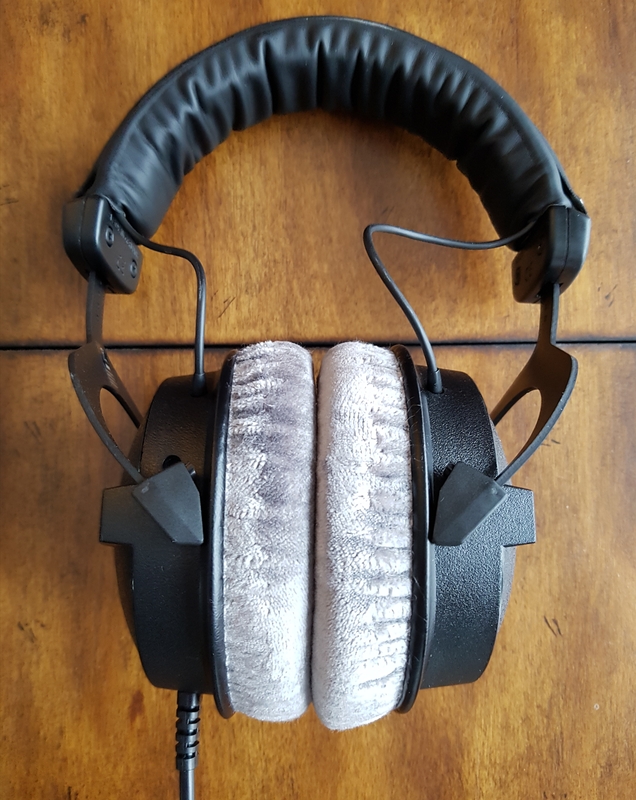 Beyerdynamic has an excellent reputation when it comes to headphones. Whether you are looking for headphones for working in a studio or headphones to take with you on your daily commute and around town, beyerdynamic has something to offer you. This is the first in a series of 3 reviews for different beyerdynamic headphones that will meet various needs. First up is the DT 770 Pro, The Studio Legend, 80 ohms. The DT 770 Pro is a closed-back design. That means sound doesn’t escape through the outside of each earphone – so people around you won’t get annoyed and hear what you’re listening to. Open-backed headphones leak sound. These headphones are large and great for desk top use or gaming use. If you need headphones for on the go stay tuned for my other beyerdynamic reviews as they have a new pair of Bluetooth headphones which are perfect for commuting and will be featured in my next review / post. Even though these headphones are larger than others I have tried, they are extremely comfortable. Probably the most comfortable pair of over headphones that I have ever tried. I love the velour ear pads on the headphones. These velour ear pads allow for extended wear of the headphones without discomfort. My husband has tried many headphones as well and has been searching for a pair to use for a while. His search is over. He will not wear any other pair of headphones since trying the DT 770 Pro. We also both wear glasses and I find some headphones push the sides of my glasses into my head and that makes it painful after wearing headphones after only a few minutes. The DT 770 Pro doesn’t do this at all. 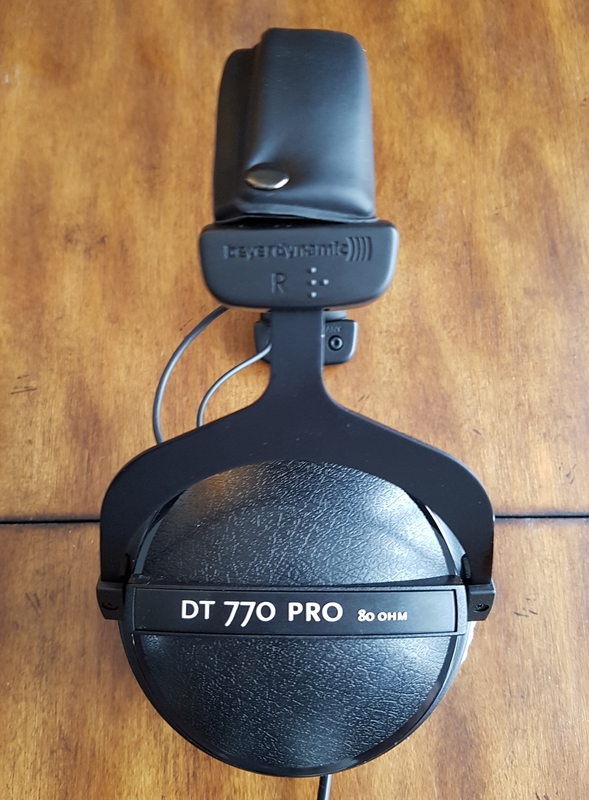 The design of the DT 770 Pro is bulkier than a lot of other headphones that you may be used to and it comes with a non-detachable 10 foot long cable which is why I recommend them for home use. I have used them on the go with my smartphone and have no problem storing them in my back pack with the long cord but prefer using them at home. The headphones feel solid, while also remaining lightweight and offering a luxurious fit with the velour ear pads as mentioned above. They have a circular ear cups and a thick metal frame with a removable cushion strap. The DT 770 Pro is a durable and sturdy pair of headphones. The headphones are dense enough to handle drops without getting damaged. 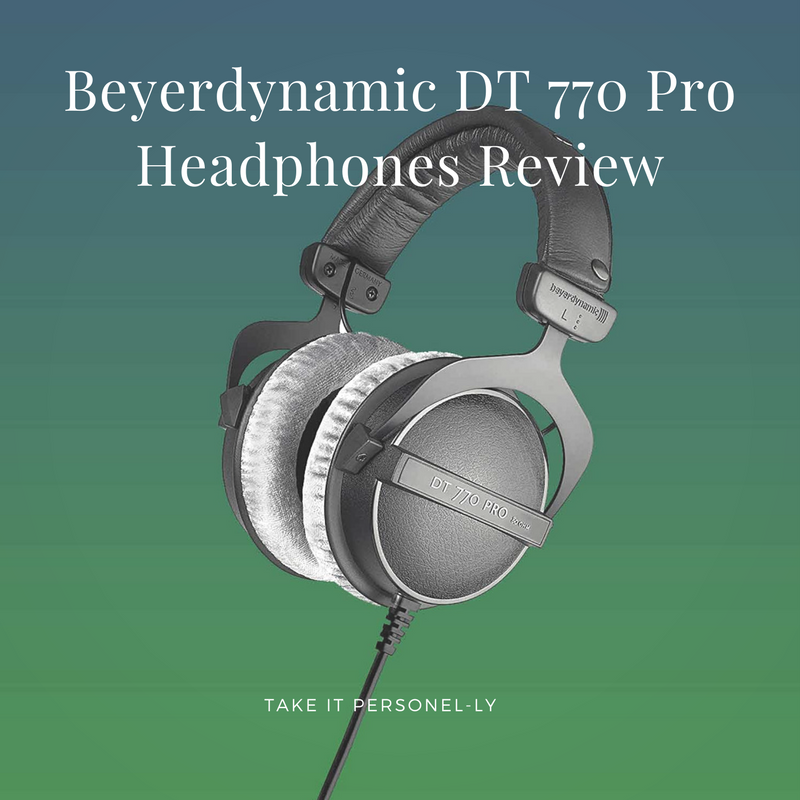 The DT 770 Pro headphones have an excellent and extended Bass, a nearly flawless Mid-Range reproduction, and very good imaging and distortion performance. Another great thing about the DT 770 Pro is the speed of the drivers. Speed in headphones essentially measures how quickly the little speaker can play a sound and then reset to a neutral position after vibrating, whether those frequencies keep bouncing around in the cup or not. The DT 770 Pro is as fast as headphones that cost several times the price. (You can check this out yourself with listening and measurements you can find online.) It has a very fast attack, quick decay for all the frequencies, and incredible rendering of detail. Sounds don’t linger in the cups for very long at all. If you are editing music or composing computer music this is needed for picking out little minute details in the sound. You can hear every nuance in the music. It’s also great for picking out distortion in recordings. A lot of headphones that you may be used to using actually distort what you are hearing and makes songs and music sound better. This is a problem if you are mixing or creating music as you want you don’t want any type of distortions. You want to hear exactly what you are piecing together. This makes the DT 770 Pro great for studio/critical work. 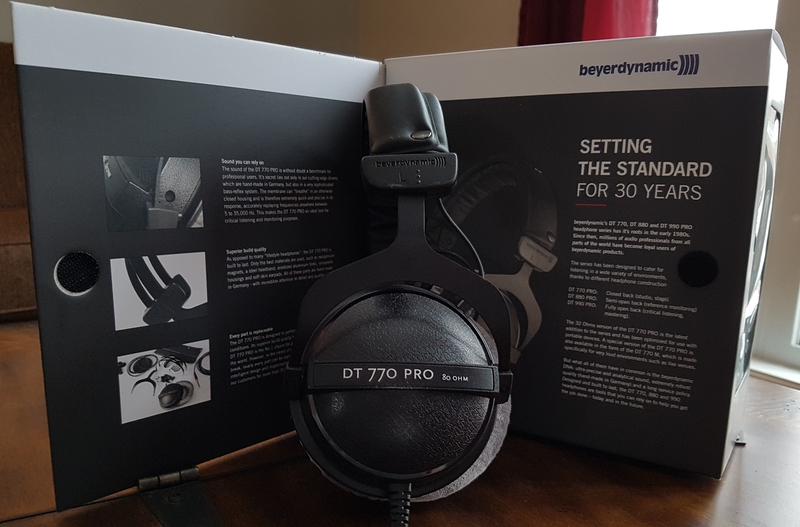 The DT 770 Pro has a reputation of being used by many professionals and are considered some of the best mixing and tracking headphones around. Even if you don’t use the DT 770 Pro for music editing the sound quality is still quite astonishing. I hear instruments and notes in songs that I’ve never heard before with other headphones. The DT 770 Pro also makes an above-average pair of headphones for home theater use. They’re sufficiently comfortable and have an above-average sound for watching movies. The only drawback is the cord length. You many need an extension for the cord depending on your set up. The DT 770 Pro comes with a nylon carry bag and name tag and for the price point they are definitely better than anything else in the same price range. You can’t beat the price for the quality of them. The DT 770 PRO headphones are handcrafted in Germany. The materials and component parts used are painstakingly made by hand and can be replaced if necessary. The DT 770 Pro headphones are very good, closed-back, critical listening headphones. They deliver a well balanced audio reproduction with a near perfect mid-range and a great bass that doesn’t drown instruments and vocals. I highly recommend the DT 770 Pro for editing and creating computer music and for at home use. For this price point I doubt that you will find anything better! Stay tuned for my next reviews which will feature the beyerdynamic Aventho wireless and DT 240 PRO. 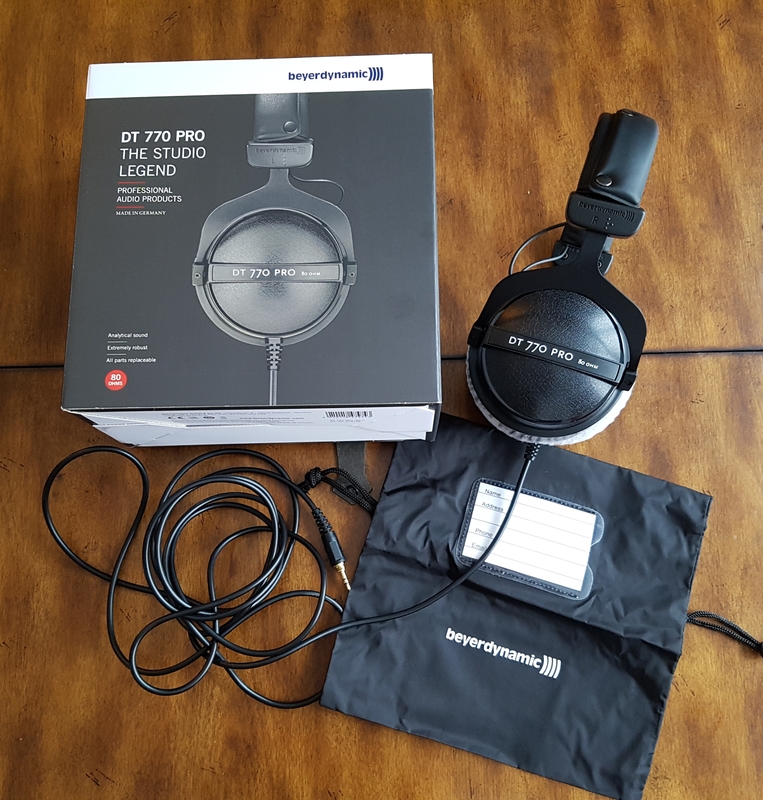 Disclaimer: I received a pair of DT 770 Pro headphones for review. Good or bad, my reviews are honest with my readers best interest in mind. I have not been compensated for this review. Thanks for your article. I love my DT770 everyday more and more!!! I use in my home studio as well as live session with my heavy metal bands.